The Utah Republican Party chairman blasted Mitt Romney’s anticipated Senate run, hitting him for “essentially doing what Hillary Clinton did in New York” — campaigning in a state he hasn’t spent much time in. “I think he’s keeping out candidates that I think would be a better fit for Utah because, let’s face it, Mitt Romney doesn’t live here, his kids weren’t born here, he doesn’t shop here,” Rob Anderson told The Salt Lake Tribune in an interview. It’s highly unusual for a party chairman to criticize a potential candidate. And Anderson’s comments came in the run-up to Romney’s expected announcement Thursday morning. He has since postponed that, citing “respect for the victims and their families” after a deadly school shooting in Florida. (Chris Detrick | The Salt Lake Tribune) Utah Republican Party chairman Rob Anderson speaks during the State Central Committee meeting at the Park City Library Saturday, November 4, 2017. Romney, the former Massachusetts governor, carried Utah in the 2012 presidential election by nearly 50 points over President Barack Obama. He made the state his official residence in 2013 and actively votes as a Holladay resident. “Nobody wants to go out there like David and Goliath and get defeated by the Romney machine,” he said. A spokesperson for Romney declined to comment. But Anderson said he later apologized to Romney, who reached out to him. Before Hatch announced he would not seek re-election this year, the senator joked that he might be willing to step aside if Romney wanted to give elective office another try. So while he acknowledged that he likes Anderson “quite a bit,” he said he also has to “strongly disagree with him” over Romney’s qualifications. But Anderson, while surely the most prominent and the most vocal, isn’t the only dissenter. Romney’s expected candidacy is also annoying primarily right-wing GOP members who suggest that he’s ignoring the party and will win by name recognition and money alone — not platform. “The general public perception is that Mitt Romney will be the automatic next senator,” said Phill Wright, former state GOP vice chair. 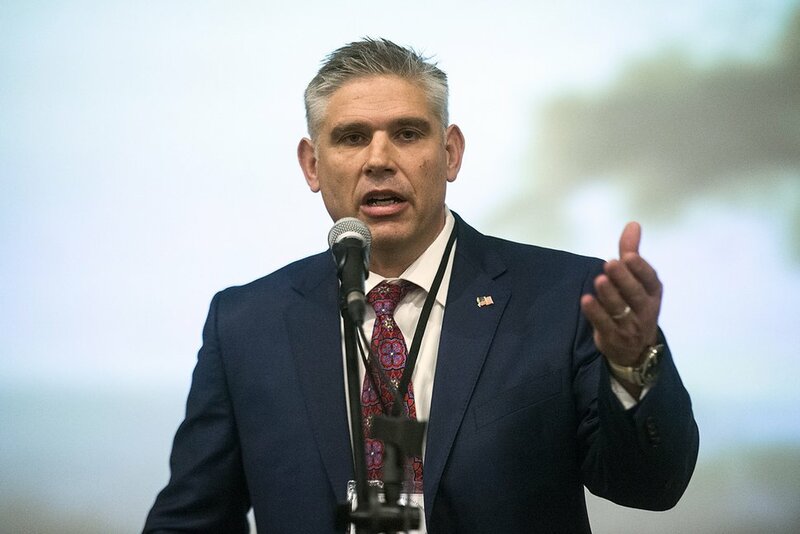 On Tuesday evening, Dougall wrote an extensive Facebook post on his thoughts about Utah’s soon-to-be-available U.S. Senate seat. In the post, he said everyone has been focusing on who they want Utah’s next senator to be — not what they want that person to be. Dougall said Utahns want a strong conservative who supports Trump and understands the state’s issues. As far as Dougall can tell, he wrote, Romney doesn’t like the president very much. Dougall also said he’s concerned about Romney’s knowledge of Utah. “We need to understand where Mr. Romney stands before we decide where he’ll sit,” he wrote. After posting, Dougall shared an article from U.S. News and World Report, which says the state auditor is “seriously considering” running against Romney for the open seat. If he doesn’t go through the convention, it might further inflame those who already doubt his allegiance to the state party. At least two other Republican candidates plan to participate in the caucus and convention. Tim Jimenez, an environmental engineer who launched his campaign in January, said there’s “contention and anger” that Romney might bypass delegates. That’s the same argument Democrats are making against Romney. The last time Utah had an open Senate seat was in 1992, when Sen. Jake Garn stepped down after three terms. Hatch, though, has held onto his seat for more than four decades. Some of the angst over Romney, then, Anderson suggested, is that before he’s even announced his candidacy the race seems determined in his favor.